I’ve talked a lot of sh*t about BOA in the past. 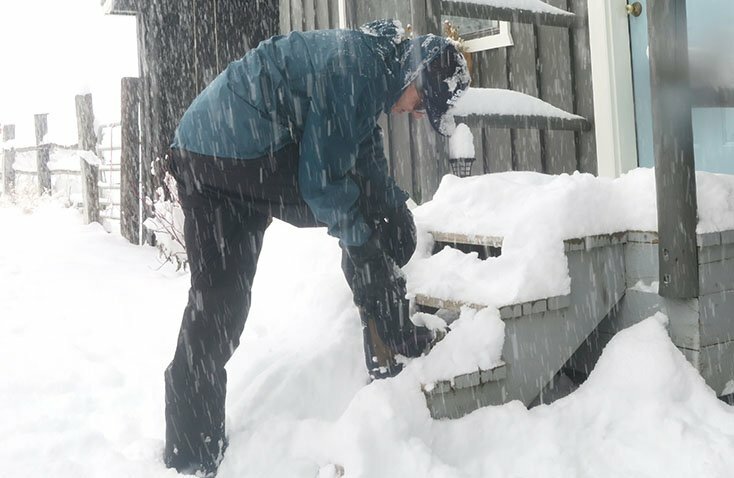 Call me a crunchy old snowboarder but the idea of not pulling up my laces to go shred always seemed weird at best. That was until I had an opportunity to go splitboarding in the brand new Vans Verse Boots. Double BOA? Yep and no laces either. First off I want to thank the team at Vans for slowly persuading me to try BOA. I have been outspoken about BOA and not always in the nicest of ways. But after trying the Vans Verse Snowboard Boot with BOA I just can’t help but laugh at how silly egos can be. Mine especially. 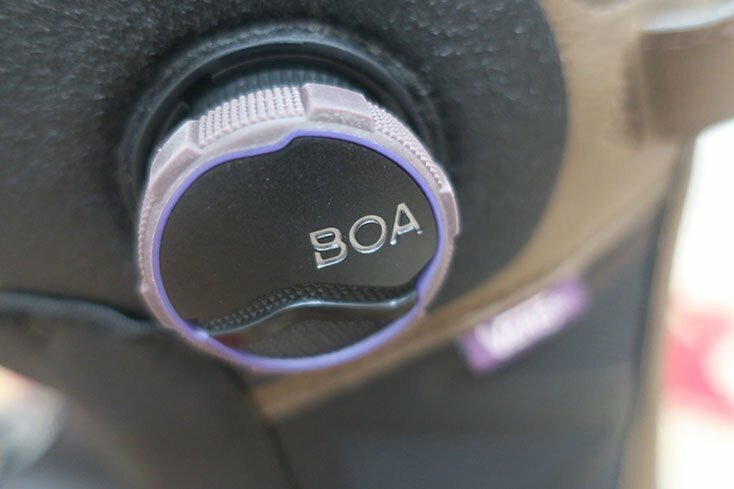 After visiting their new factory in Denver this summer it is apparent BOA is here to stay. 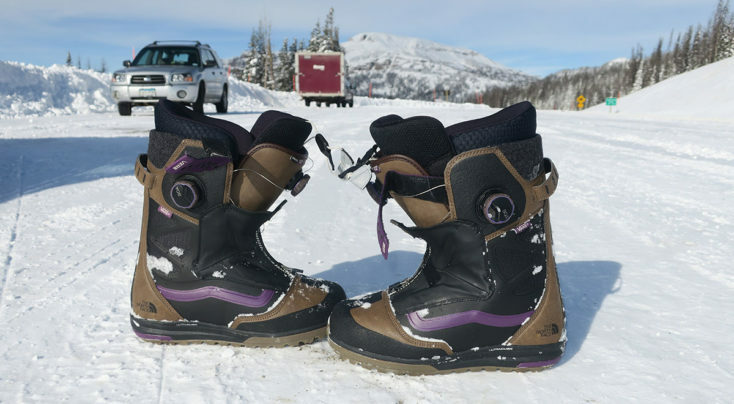 BOA works amazing for snowboard boots and just about every other type of shoe out there from golf to the medical industry and everything in between. If you’re not already a fan of BOA, you will be soon. Let’s start with the fit. The Vans Verse BOA Boot is super slick to pull on and off. I love my Pat Moore Infuse Boot for touring, however, those boots can be a real b*tch to put on and take off. I even managed to rip the tongue out of the Infuse from trying to stuff my foot inside the boot. (which others have experienced as well) That is not the case however with the Vans Verse. Instead, you get a boot that goes on and off with ease without ever pinching or hurting your foot. 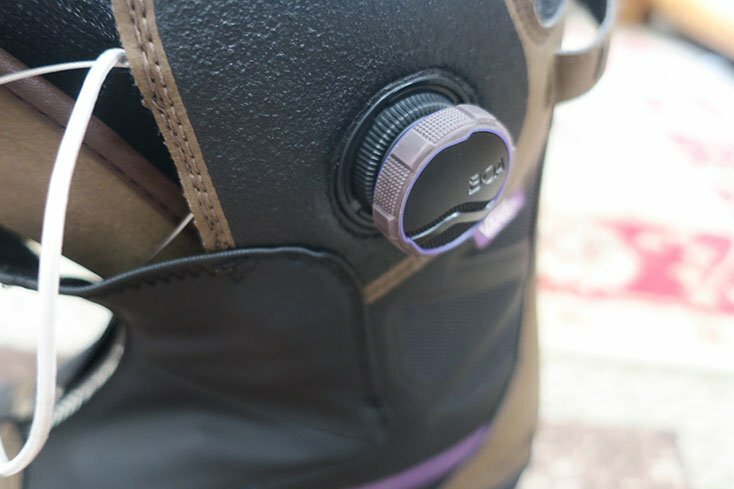 Once the boots are on there’s a traditional synch tab inside that pulls the liner together. Vans liners are also customizable and even heat moldable offering an even better fit. As you go up the liner there is a power strap that is sort of awkward to get to, and doesn’t really seem to do much work, even if use the velcro as the BOA system takes over in that regard to pull everything together. The Verse Boot can be tightened via 2 separate BOA adjusters one at the top of the boot and one on the side. For touring I crank down both BOA’s as tight as they go and then release/undo the top BOA. By doing this it allowed for more front to back glide on the skin track. 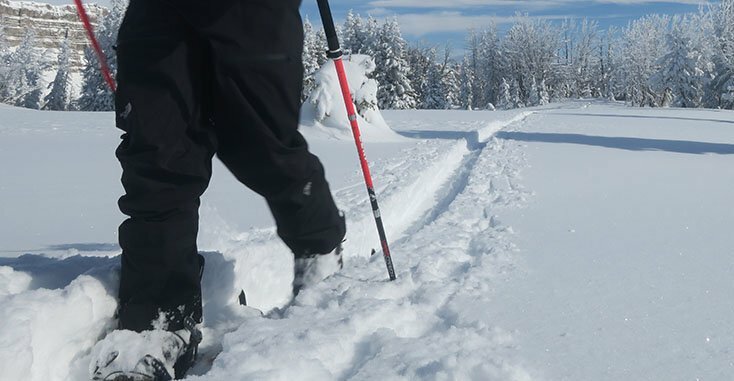 If bindings like Spark R&D have the ability to extend your stride, your boots should too. The Verse does all that and some, making it perhaps one of if not the best BOA Men’s snowboard boots on the market. When it’s time to go downhill, the on the fly adjustments only take seconds. If anything I found myself messing with the BOA more than I would have with past boots as it was so quick and easy to make little tweaks here and there. Then at the end of the day, once you pull up on the BOA your boot starts to quickly unwind. You can even hear the BOA unwinding when you open the tongue of the boot. There will be ZERO fighting this boot to get off at the end of the day. That in itself is worth the cost. Comfortable, flexible and super stylish with The North Face Blake Paul collab, all combine to make the 2019 Vans Verse Snowboard Boot ($389) a solid pick for the coming winter. 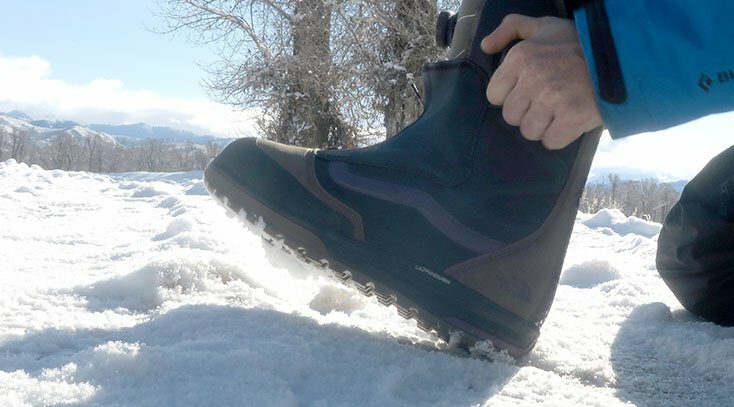 The Men’s Verse Boots surely stand out with Vans brown synthetic leather, a purple TNF colorway, and a really cool new feature to keep snow out of the boot, Vans waterproof zip-up. 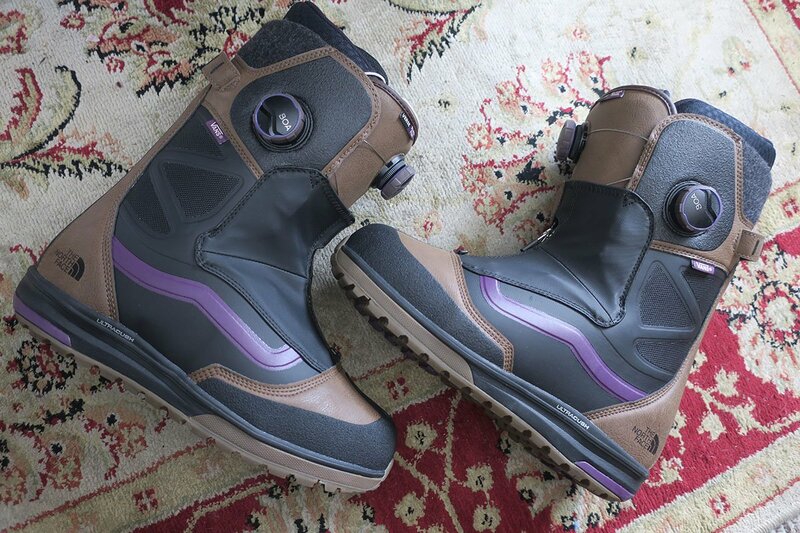 The Vans zip-up is the sort of tech that mountaineer boots have utilized for years, now Vans has adopted it too which leads us to believe Vans is working closely with their athletes and testers to create rider driven boots that work wonders. Keep up the great work Vans.